khoi's portfolio [w/commentary]: Why Do You Do What You Do? For our first assignment in my Art Direction II class, we were asked to answer the question, "why do you do what you do?" through graphic and type. 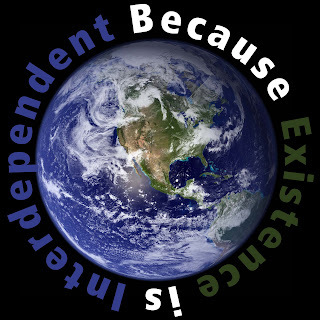 "Because existence is interdependent" means that we are all reliant on each other as a human species. I know one reason I'm here is to help other people, and so I try my best to be there for my family and friends when they need me most. We're not isolated. We are all connected, and thus, the circle is a link, a symbol, that is representative of US as a whole. 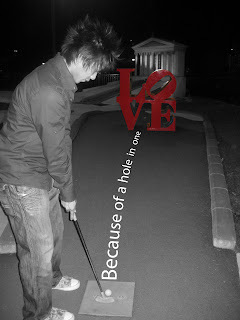 "Because of a hole in one" is meant to be playful. When you know you've found the one, it's as sweet as a hole in one. I chose the simple typeface because that is what Love should be, simple. 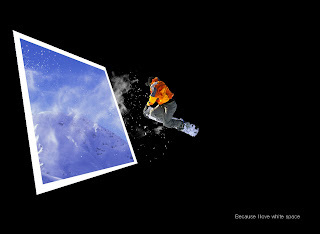 "Because I love white space" is pretty obvious. Perhaps the most important technique a designer has in his arsenal is the use of white space. Not only is it simplistic, but it just looks good.